On average, 16.1 percent of Oregonians don’t have access to safe, nutritious food for themselves. 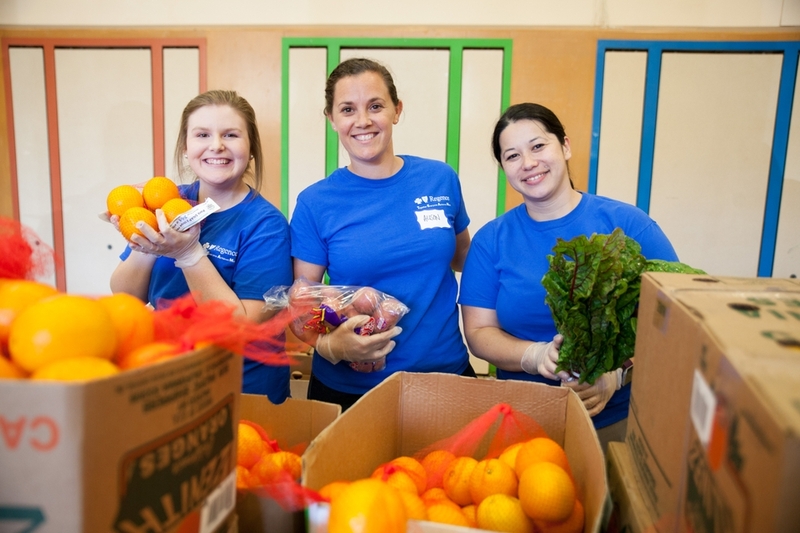 In an effort to combat this state-wide hunger, Regence BlueCross BlueShield of Oregon employees teamed up with Oregon Food Bank for a week of giving back from June 13-18. Regence employees’ more than 300 hours of volunteering generated nearly 20,000 meals for hungry children and families in Oregon. Regence focuses on the importance of a healthy, nutritious diet and has partnered with Oregon Food Bank in the fight against hunger for over a decade. Since 2010, Regence and its employees have raised more than $850,000 for Oregon Food Bank and thousands of hours of service to help those in need. “A healthy lifestyle begins with fresh, nutritious food. Regence is proud to support Oregon Food Bank’s fight against hunger throughout our state by making sure local kids have access to produce year round,” said Angela Dowling, president of Regence BlueCross BlueShield of Oregon. “Regence understands that budgets are tight and many families struggle to get enough to eat during the summer. They want to make sure kids are eating nutritious food so they can stay healthy and active.” said Susannah Morgan, chief executive officer of Oregon Food Bank. This year, Regence’s partnership with Oregon Food Bank supports the Produce Initiative, which is an effort to improve the delivery of perishable produce to food pantries and those in need, and to supporting FEAST (Food, Education, Agriculture Solutions Together) events. To learn more about Oregon Food Bank and join Regence in the fight against hunger, visit www.oregonfoodbank.org.